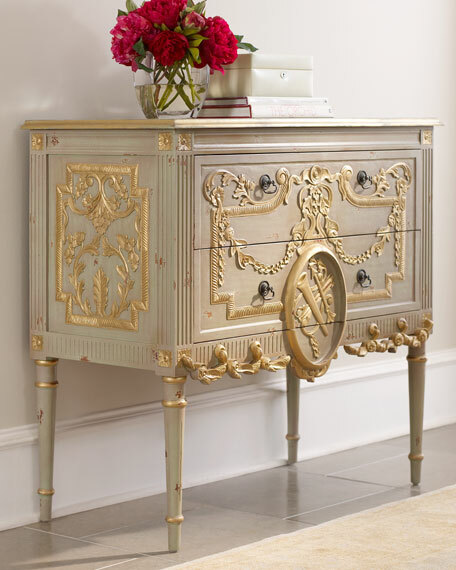 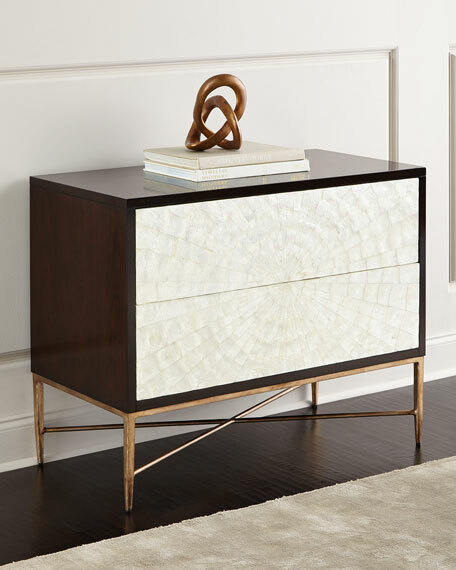 This glamorous three-drawer chest is a feast for the senses! 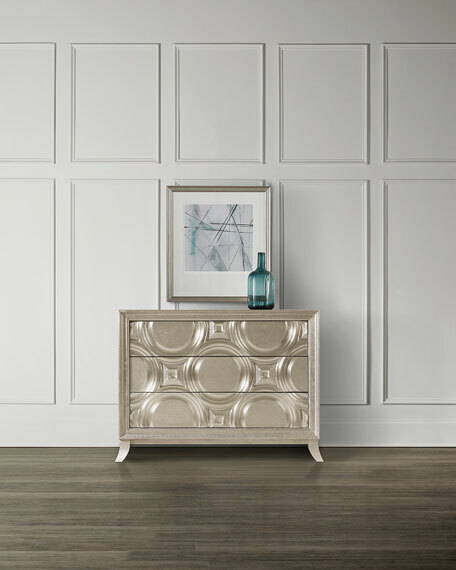 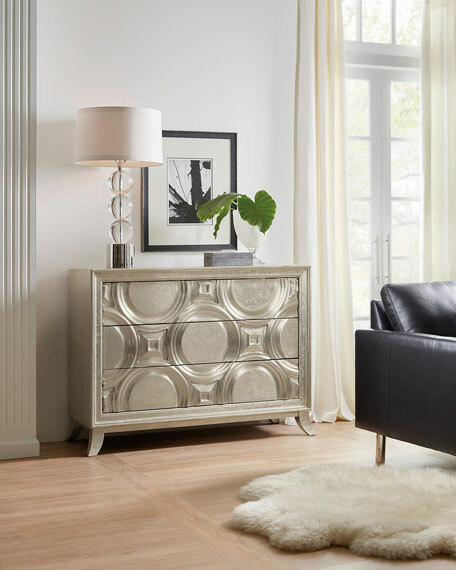 Crafted in a vibrant silver finish with a textured feel it offers a contrasting inset top with a banded edge and distinctive circle motif on the drawer fronts for added flair. 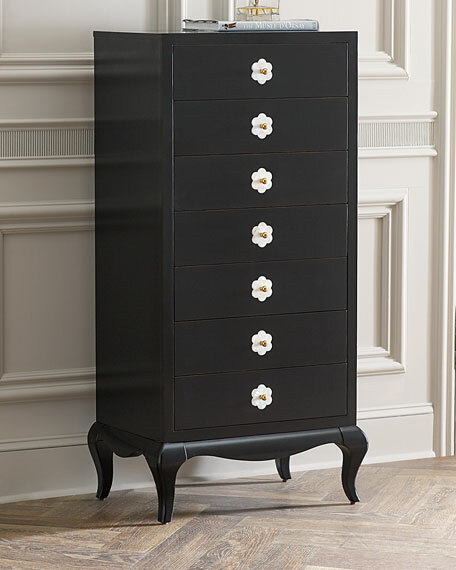 Handcrafted chest with three drawers. 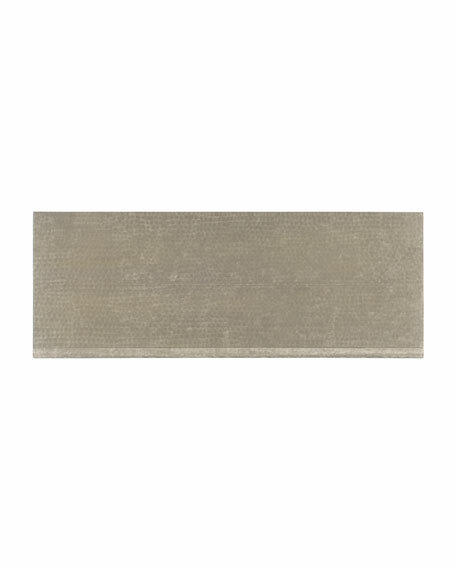 Aluminum sheet, with a vibrant, textured silver finish. 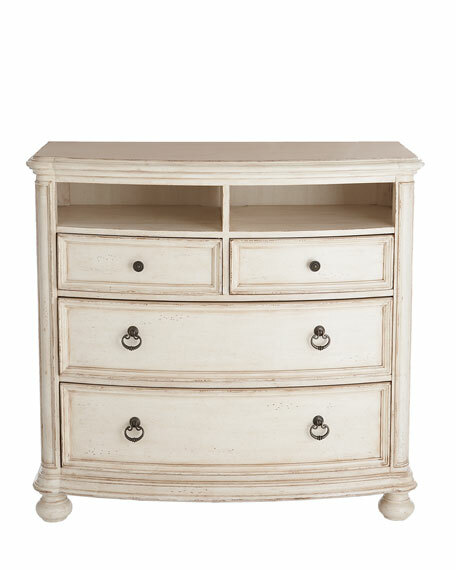 38"W x 17"D x 38"T.
Boxed weight, approximately 158 lbs. 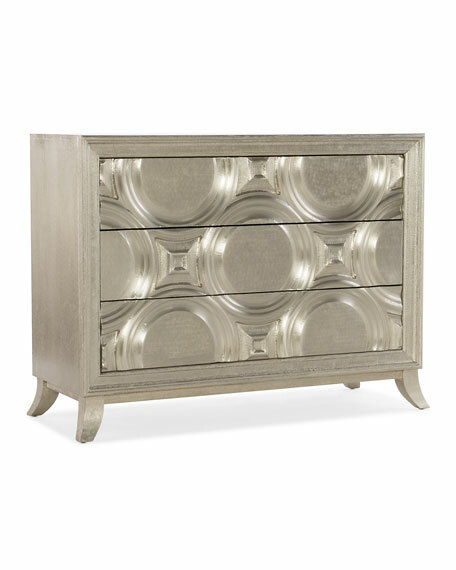 Handcrafted chest.Made of mahogany.Low-relief carvings of foliates, rosettes, and scrolling volutes framing a central trophy motif.Hand-applied stain covered in brushed, distressed green-gray with a rub-through finish and gold-leaf accents.Two drawers.42.5"W x 20"D x 38.5"T.Imported.Boxed weight, approximately 90 lbs.